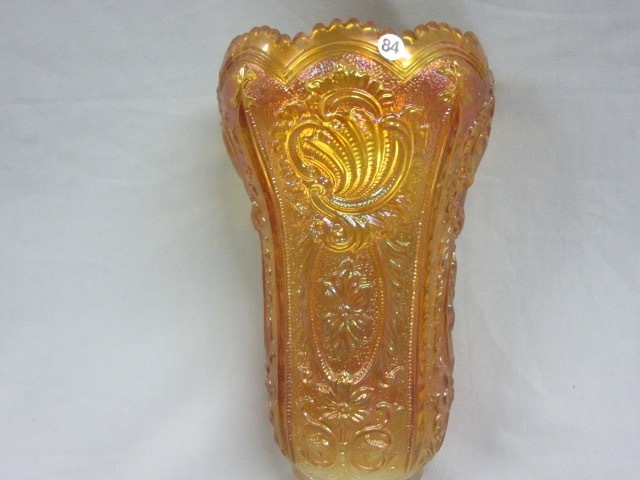 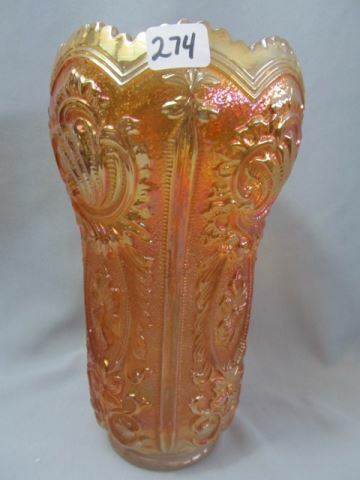 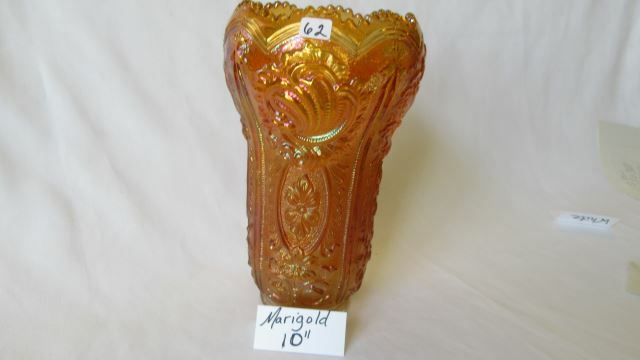 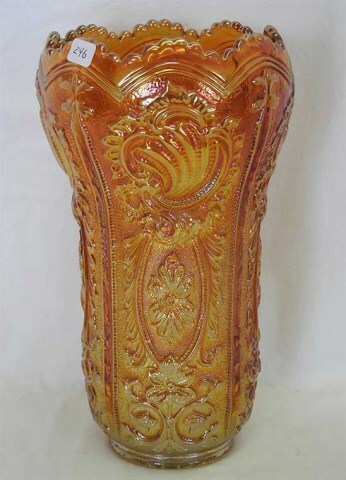 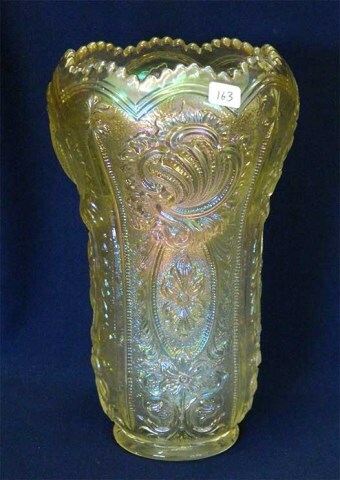 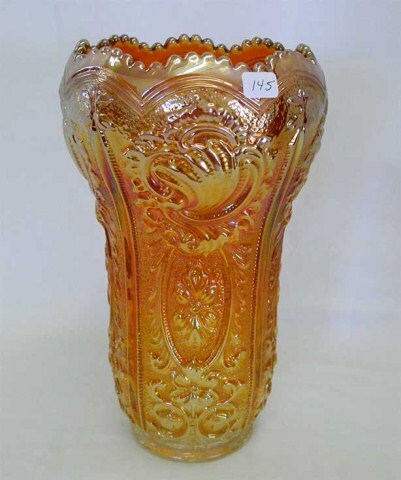 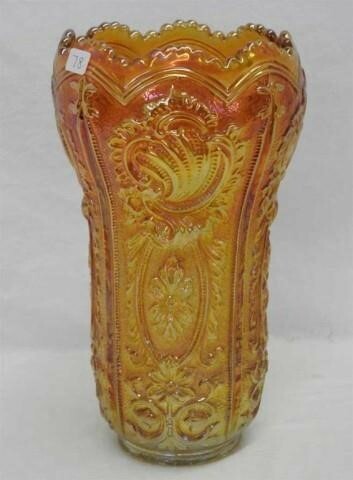 Quite a rare vase–few have sold in recent years. 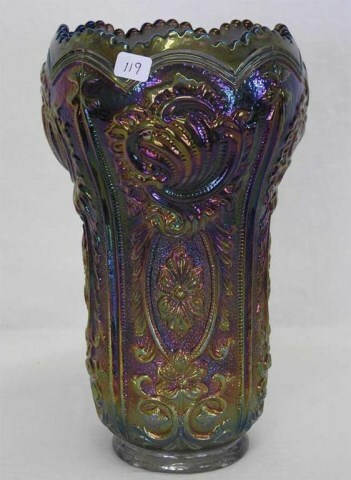 The one shown here is marigold; purple, clambroth, and smoke are also known. 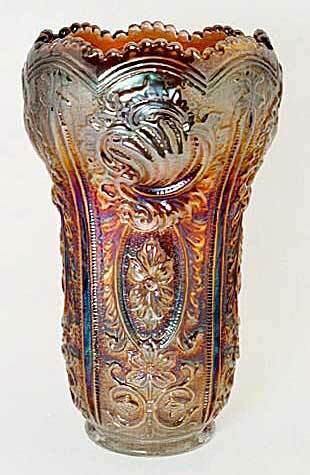 The website Carnival Heaven points out that the original vases had a star impressed on the base. 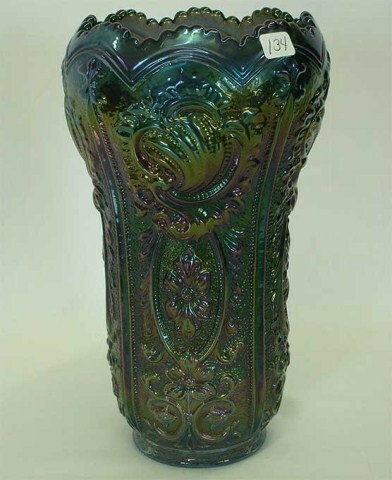 They were reissued by Imperial. 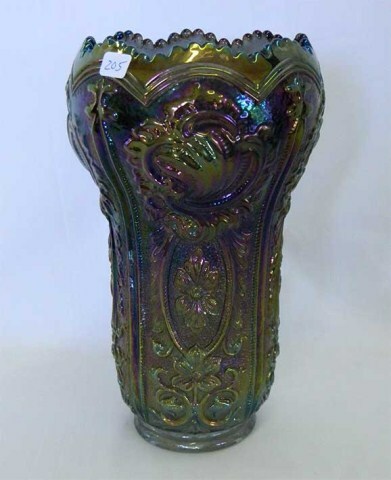 If the vase is flared or marked with an IG on the inside, it's one of the newer ones.